In his introduction to Red Pepper's special features on the region, Pablo Navarrete explains why the left around the world is currently looking to Latin America. ‘What has happened in Uruguay is one more step on the road to building a new South America, a new Latin America, a new world,’ proclaimed Venezuelan president Hugo Chávez following the victory of Tabare Vazquez and his left Frente Amplio (‘Broad Front’) coalition in the Uruguayan presidential elections in October. While the charismatic Venezuelan president is no stranger to hyperbole, his statement expresses a view that is increasingly prevalent among the left in Latin America and beyond. Latin America appears to be at a crossroads. Throughout the region resistance to the devastating effects of neo-liberalism has grown into a tidal wave of opposition that has seen three governments in three years swept out of office by popular uprisings. The revolts in Ecuador (2000), Argentina (2001) and Bolivia (2003), against governments which forcefully applied neo-liberal policies of privatisation, market liberalisation and fiscal austerity, have been accompanied by a series of left and centre-left governments taking office in the region. What does this mean for Latin America’s future? And what lessons can the left outside the region draw from it all? In particular, what can we learn about the limits, possibilities and strategies of the left in government? These are some of the questions Red Pepper explores in its special Latin America features this month. Some on the left view the present historical juncture in Latin America through a revolution-versus-reformism prism. The reality is more nuanced. Following the savage repression in the region by various US-sponsored dictatorships in the 1960s, 1970s and 1980s, the left has slowly rebuilt itself: firstly through social movements, then in local government, and finally in electoral victories at the national level. 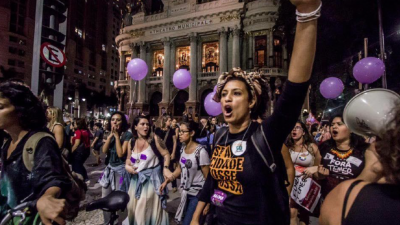 The left’s rehabilitation in Latin America has occurred following a period in which the region turned to neo-liberalism in response to its enormous debt crisis in the early 1980s. The disintegration of state-run economies in eastern Europe also largely discredited the traditional left in Latin America and, consequently, a major source of from where possibilities for alternatives to neo-liberalism could emerge. But after more than 20 years neo-liberalism has failed miserably in meeting the development needs of Latin America’s people. Two examples of where this crisis of neo-liberalism and the ensuing search for alternatives has led can be found in Brazil with Luiz Inacio ‘Lula’ da Silva and Venezuela with Chávez. 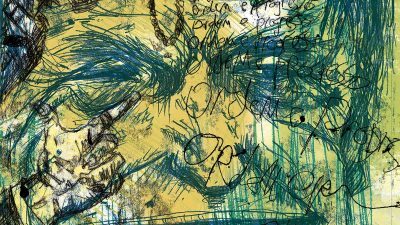 In the main piece in this section of the magazine journalist Sue Branford and Brazilian academic Alfredo Saad-Filho debate the record of Lula and his Workers\’ Party (PT) since they took office in January 2003. In October 2002 Lula, a former metal-workers’ union leader, stormed to power with nearly 62 per cent of the vote, becoming the first left-wing politician to win the Brazilian presidency. Since then, many Lula supporters have been heavily disappointed with the nature and pace of his reforms. Indeed, soon after coming to power the PT pushed through welfare cuts it had opposed while in opposition. Protests followed and the expulsion of four PT parliamentarians who opposed the measures led to the creation of a new party: the Party of Socialism and Liberty (P-Sol). However, while viewed as largely conservative on domestic issues, Lula has taken a more radical, some say ‘trade union’, approach to foreign policy. He has actively promoted trade ties among Latin American countries and other developing nations such as China and India, and he has used international trade meetings to push for increased access to Western markets for poorer countries. This creation of alternative power blocs has given Brazil, Latin America’s regional giant, real weight in international affairs. Chávez, in contrast, has been perceived as radical at home and more orthodox in his foreign policy. The charismatic former paratrooper has caught the imagination of the left around the world with his fiery, pro-poor discourse. He elicits extreme feelings of adulation and contempt from supporters and opponents, respectively. 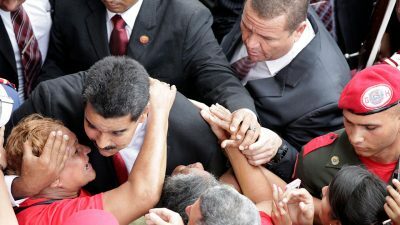 In our second piece Caracas-based Canadian journalist Jonah Gindin describes how the people of Venezuela are returning to the country’s Bolivarian experiment in participatory democracy after the distractions provided by the opposition’s coup attempt in April 2002 and the recall referendum over Chávez’s presidency.. The electoral victories of Vazquez, Lula, Chávez and other left candidates, like Nestor Kirschner in Argentina, have raised great expectations in Latin America, and internationally, of a new epoch of progressive change within the region. It is hoped that they will serve as a catalyst for alternatives to neo-liberalism throughout the world. They also pave the way for a wider, renewed debate on the present meaning of socialism and radical socio-economic change and their relationship with democracy in a world of globalised finance. These claims might appear lofty to those who see these governments as representing nothing more than a change of emphasis: a kind of neo-liberal ‘lite’ that does nothing more than recognise the need to address increases in poverty, income inequality and unemployment exacerbated by the original neo-liberal policies. There is some truth in this: how we construct systems that in the long term are able to deliver profound and sustainable change is certainly an issue that needs to be urgently debated. In the short term, however, the reality on the ground means that responding to the savage shocks neo-liberalism has inflicted on domestic populations takes precedence. Nowhere have these shocks been as starkly represented as in Argentina, a poster child for the IMF in the 1990s, but whose economy imploded at the end of 2001. The mass social uprising resulting from that implosion became known as ‘the Argentinazo’: four presidents came and went in the space of four weeks. The uprising’s rallying cry of ‘que se vayan todos’ (‘they all must go’) was interpreted by some as a rejection of politics and by others as a rejection of the state itself. 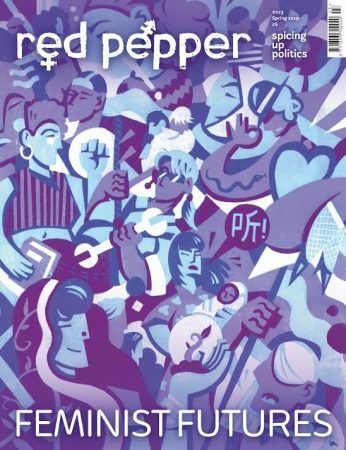 On the Red Pepper website we look at how the Kirschner government has managed to pacify the demands for radical change emanating from Argentina’s working and newly impoverished middle classes. And we look at Bolivia and the mass revolts there that were first provoked in 2000 by attempts to privatise the water services in the country’s Cochabamba region. Over the following three years there was an escalation of struggles between a largely indigenous poor majority and the state. 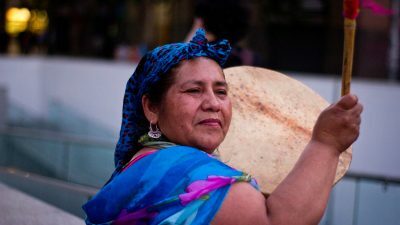 Those struggles culminated in mass protests in October 2003 against plans to export gas, the country’s main resource, to the US via Bolivia’s arch rival Chile, despite the fact that 80 per cent of Bolivians still do not have gas supplies in their homes. Bolivia’s then president Gonzalo Sánchez de Lozada sent in the army to quash the protests and several dozen demonstrators were killed. Following secret talks with the military and the US, Sánchez de Lozada resigned and fled to America. His successor and former deputy Carlos Mesa has sought to appease some of the demands of the protesters, but the situation remains delicately poised. The website also features an analysis of how events in Latin America are covered by the British media. In Latin America the commercial media remains in the hands of an elite of dominant corporations. As Uruguayan writer Eduardo Galeano puts it: ‘More and more have the right to hear and see, but fewer and fewer have the privilege of informing, giving their opinion and creating. 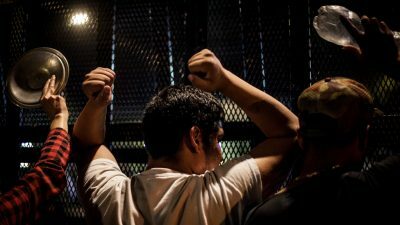 The dictatorship of the single word and the single image, much more devastating than that of the single party, is imposing a life whose exemplary citizen is a docile consumer and passive spectator.’ Chávez’s calls for a Latin American version of Al-Jazeera are being taken very seriously. For those who want to get involved in solidarity and development work with Latin America our website has a directory of British-based organisations working on the region, as well as information on some of the main social movements presently active there. And finally we use the net to look at the relationship between the British government with Latin America: specifically, Britain’s relationship with the right-wing government of Alvaro Uribe Velez in Colombia. With the influence of the US in the region being so overwhelming, it is often convenient to forget about the role our government plays in conditioning Latin America’s reality. We hope that you enjoy these articles and that they go a little way towards illuminating some of the fascinating processes taking place in the region. 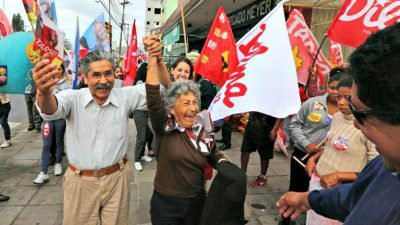 While the nature of resistance and alternatives to neo-liberalism in the region are in many ways unique, the mass poverty and social needs of Latin America’s peoples are replicated throughout the world.